The hip raise is one of the best moves for strengthening your glutes. 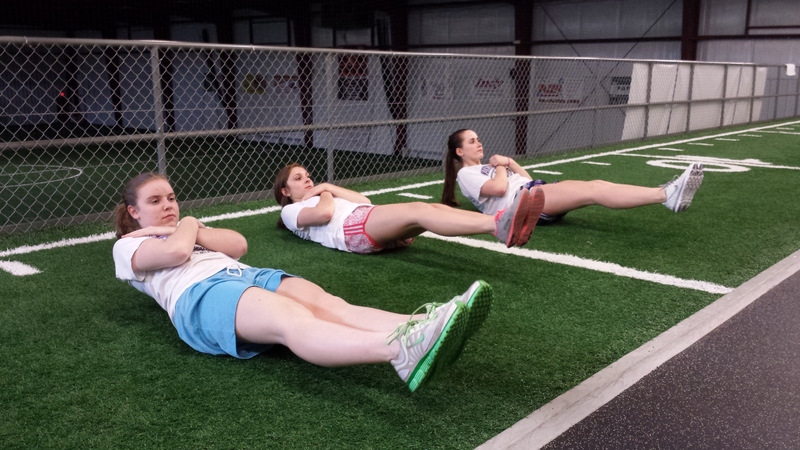 This exercise is also a great choice for improving core strength and stability, as well as athletic performance. Your glutes are important — but often overlooked — muscles, where movement and performance are concerned. 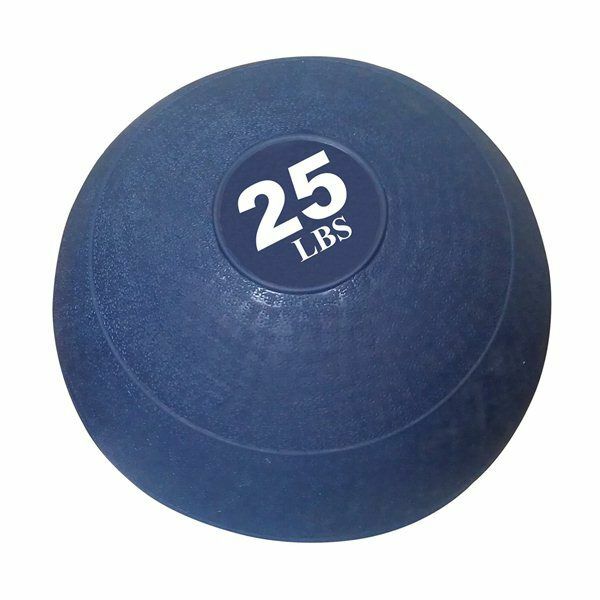 You use them for running, jumping, throwing, and kicking; so strengthening them can improve your game, regardless of the sport you play. To perform this exercise, try the hip raise with your head and upper back on a Swiss ball. 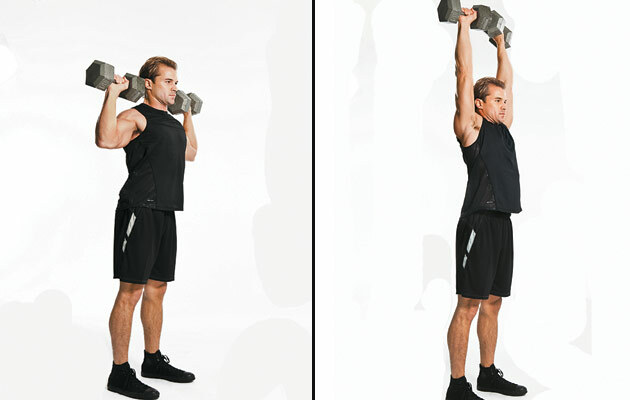 Do three sets of 10 repetitions. When most people hear “core,” they think “abs.” Actually, your core includes the muscles of your torso — shoulders through hips (deltoids, abdominals, gluteals, and lumbar spine). These muscles initiate, generate, and resist movement (running, jumping, hitting, and throwing), strength, and power. If you’re not strong through your core, it won’t matter how strong the muscles of your arms and legs are, because you just can’t compensate for a weak core. Exercises that integrate your entire core elicit greater muscle activation than exercises that isolate the abs. 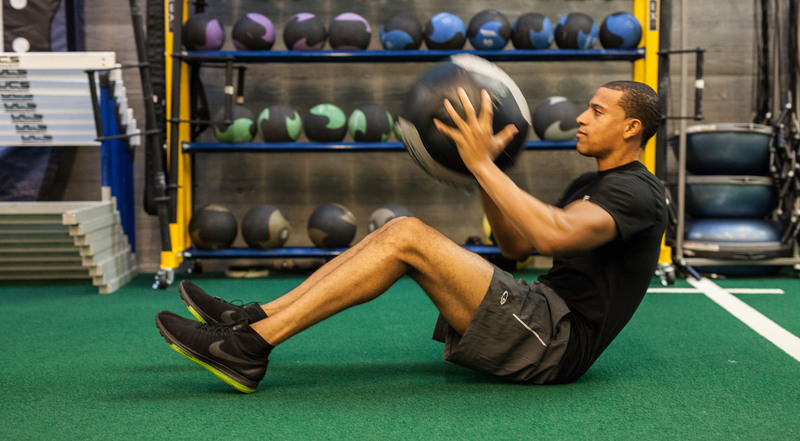 There are lots of exercises that target the muscles of the core, but not all core exercises elicit significant activation in a way that enhances functional gains and peak performance. Anti-Rotational exercises — those for which you move your arms and shoulders laterally but do not rotate your hips (for example, the Russian Twist – Bench Holding Stability Ball) — are still another way to effectively strengthen your core. The next time you perform the barbell squat exercise, try it with an unstable load — weights suspended from the bar by elastic bands or SYN Rings — instead of loading plates directly on the bar. This exercise is more challenging than you think — you’ll want to cut your usual squat weight by about 50%, to start. Squatting with an unstable load will increase activation of the stabilizing (core and lower body) musculature, and produce significant ground reaction force (GRF) — important for tasks such as sprinting and jumping. You can perform other exercises with an unstable load, most notably the barbell bench press, which will engage the stabilizing muscles of your torso, in addition to your upper core.